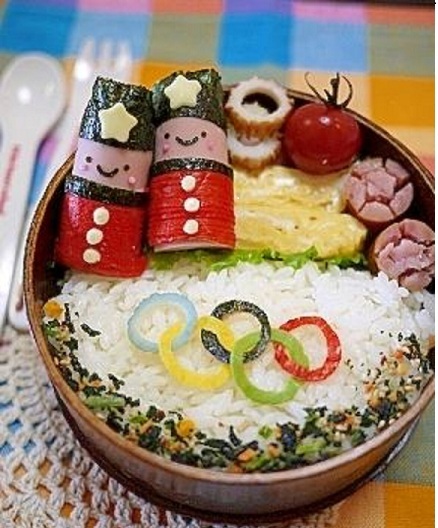 Celebrate your spirit of the games, with this awesome Olympic themed bento. We love all the color, and wish that our lunches looked half as lovely. What a pretty treat!